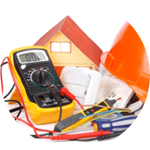 Looking for an Electrician in Marylebone? Great! You’re in the right place! 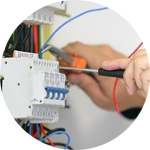 The London Handyman service provided by the Handy Squad has a team of highly professional and fully trained electricians in Marylebone. We are happy to tackle any electrical job, no matter how big or small. Our team have the skills and know how to install or remove appliances for both domestic or commercial use. 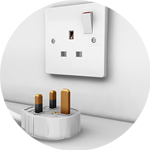 Rest assured, any light switches, bulbs or sockets will be installed both professionally and efficiently by any of our team. Identifying issues with faulty or broken appliances is a dangerous and time consuming task. 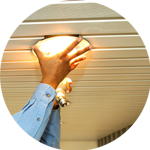 Our team are happy to use their knowledge and specialized equipment to help find problems and ensure that your household or work place is both safe and secure. Marylebone is an affluent area located within the City of Westminster. Its home to some of the most iconic landmarks in the capital such as the Marble Arch and Madame Tussauds. We don’t just offer electrics here at Handy Squad! 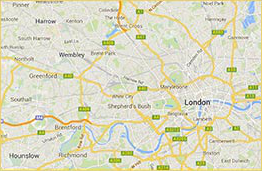 We have plumbing in Marylebone, decorating in London and of course Handyman in Marylebone. Having a room re decorated or shower installed will be taken care by any of our highly skilled and dedicated team. 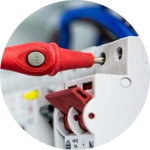 Book your electrician in W9 right now! Complete the online form or call 0800-0-12 12 12.